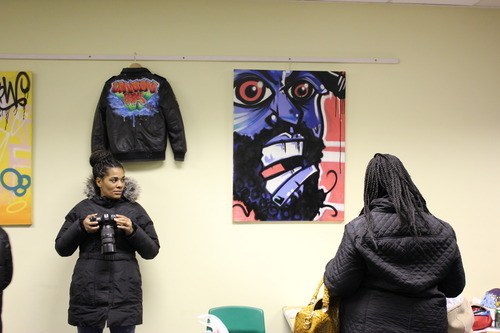 The IITS team were down last Saturday to the new Bountagu shop in Edmonton to showcase the amazing talent of our resident artist, Robe AKA Blingwear Boy. The exhibition was truly one to remember as it involved the whole community. The afternoon started of with card making workshops. Since it’s the month of love we decided to create Valentine’s Day cards with that Robe touch, which was a big hit with the kids and surprisingly adults too. From when doors opened at lunchtime until nightfall when the team finally packed down we greeted a steady stream of curious locals, budding artists and admirers of Robes unique graffiti-inspired creations. 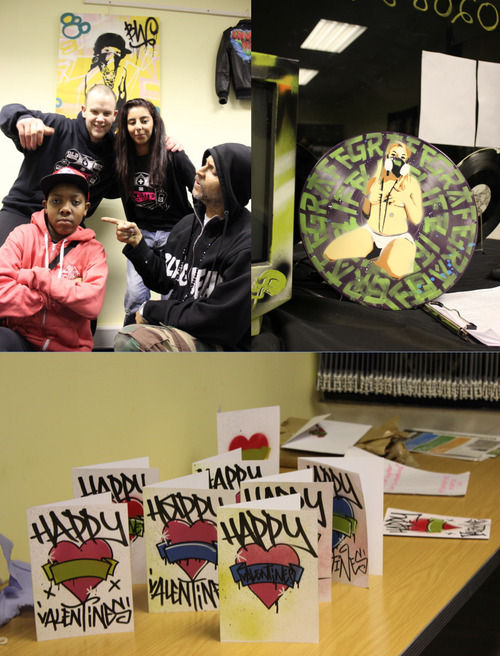 Music played, mics were blessed by local rap talent and pieces were purchased from customised trainers to vinyl artwork.Fun was had by all, check out our guestbook below.